Thread is the medium with which I build my work. I dye linen, silk and rayon threads. I spin paper with text on it into thread. My textile art explores imagery of house, home and the body investigating themes such as impermanence, attachment, human desire and fear. As a sailor and a swimmer, I cannot escape the magnetic pull of the ocean which appears regularly in my work. Parallel to my studio practice, I guide community projects that engage diverse groups in a creative dialogue to uncover our common threads as well as those that define our differences. This balance between my solo and community work supports a dynamic symbiosis that has driven my work for decades. I live in York, Maine with my family. In the summer we spend time on our sailboat exploring the coast of Maine. My studio in the woods at my house is where I teach, weave and create my art. I began weaving in 1969. My passion for this art medium has continued and grown stronger over these forty five years. 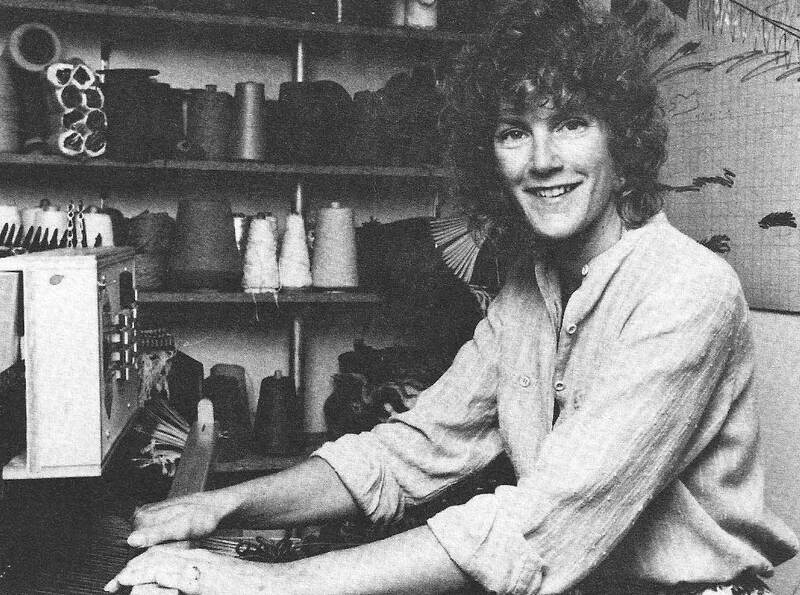 In 1976, I graduated from the Rhode Island School of Design with a BFA in Textile Design. During the late 1970′s until the early 1990′ I worked primarily on commissioned textiles, wall hangings and tapestries for residential and commercial interiors. In the mid-1980′s I began to move the focus of my work towards art education. By the early 1990′s I was an official AIE artist on the NH Commission on the Arts’ artist roster. Recent artworks include woven textiles with narrative and symbolic imagery, collage works, and writing. See the gallery for more artwork. Weaving with the first generation of Macomber Compu-dobby looms, circa 1984. My life always comes back into focus with my artwork. The interlacement of threads, the meditative quality of weaving, the metaphor of weaving and the truth I face when I am at the loom is my passion.